Paint the back of both plates blue. Using your 3D paint, make a blob of the opposite colour on your feathers. So, on the blue feathers put a green blob, and on the green feathers put a blue blob! You will need to be patient while the paint dries! When it is dry, fold one of the plates in half. This is your peacocks body. 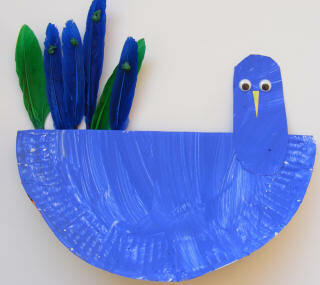 From the other paper plate, cut out a sausage shape to use as your peacocks head and neck. 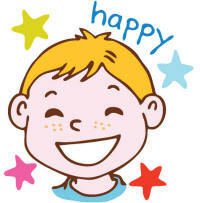 Glue the head to one end of body. Tape the feathers to the others. To finish your rocking peacock, glue two wiggle eyes and a triangle of yellow paper for the beak to the head.